Number 6 wrote: I use a piano bench. It is adjustable and has a leather top so it is very comfortable. I have a 'Guitar Chair' but now prefer the 'Adjustrite' chair for the ability to change height and angle of forward slope to suit me. It is not as expensive and is comfortable, and folds for easy transport. Thank you for all of your advice ! Here is a little summary of the suggestion with my opinion. - The lack of back support is a big minus for me. Reviewing this list Vivo adjustrite seems to be the best choice. I'm still considering asking a friend of mine to build me a tailored chair. I will let you know my final decision ! For a short while, I played seated atop a yoga ball. It might look silly, but it's actually a pretty good solution. Krokmou wrote: Thank you for all of your advice ! You did, however, miss one suggestion in your summary (which I did not make, but it was made by others), namely, an office/desk chair. I actually use a small desk chair myself, no arms, it has an adjustable backrest so it can fit precisely in the small of my back (although I tend to sit forward and upright, not always using the backrest), the height of the chair is very adjustable from very low to very high, and it swivels, which can be nice if I really get into the music and want to move a bit! You may wish to look into these types of chairs (at office-supply shops) before making a final decision. They vary in price a lot, depending on what you get. Steve Kutzer wrote: For a short while, I played seated atop a yoga ball. It might look silly, but it's actually a pretty good solution. I know several people, myself included, who do this from time to time. Good way to get a bit of a core workout while practicing! Some of the responses bring up a question about seats with backs: Is it necessary? Do any of you sit back while playing? It just seems like a way to learn poor posture to me. I've been to dozens and dozens of concerts, and I don't think I've ever noticed that a performer looked like he was sitting back, though admittedly it's hard to tell from the audience. I have a "original" guitar chair. Since its back is at 90 degrees to the seat, I very rarely get my back there. Just a little rest while changing pages. It is helpful, but not essential. What might be an improvement is a lumbar support cushion that (gently) pushed against you. I was looking a chair too from piano bench to office chair. I read some articles about sitting and recommended seat with flat top and slightly higher than knee when sit down that is good to maintain sit bone balance. 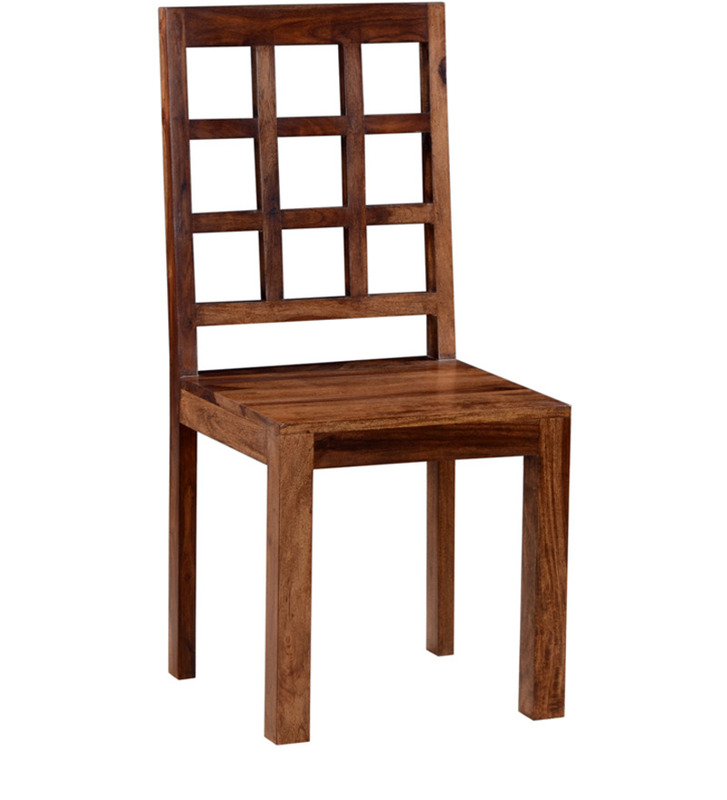 Till today I am settled down on my teak wooden dinning chair which have a flat surface and back rest (something look like below image). I added a ikea pad on it. It is stable enough for me to sit near its edge with both foot stool or guitar support. I can lean my back on the support too to play in relax style. The cushion is a good idea. I got a wondergel cushion a few years ago when I was going to a meditation class with uncomfortable seats. That on a wooden chair like yours is a wonderful setup for guitar playing. I bought a regular office chair. I took off its back and I removed the wheels. I sit with the lever on my left so the front is slightly lower than the back. It works great for me. What is the perfect chair height for a player of average size like me? I use a padded piano stool which seems to be a bit too high. Although using a Dynarette cushion I ave to put a footstool (at lowest adjustment) to get the perfect position. Last edited by zupfgeiger on Fri Jul 08, 2016 12:41 pm, edited 1 time in total. 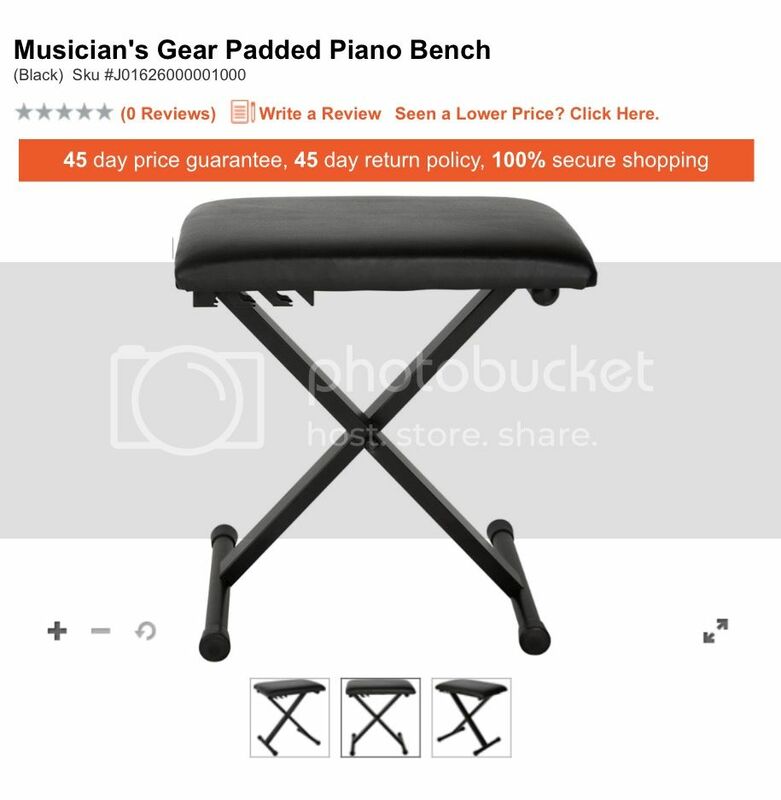 I would recommend an adjustable piano bench which is suitable for both children and adult height. If you need back rest, a solid stable adjustable office chair with flat top is good choice. lol, you really engineered that one!! im sure it's comfortable after the 200th iteration ! lol. nice! After breaking my back, I was relegated to a lounge chair and fully reclined. This is an improvement.